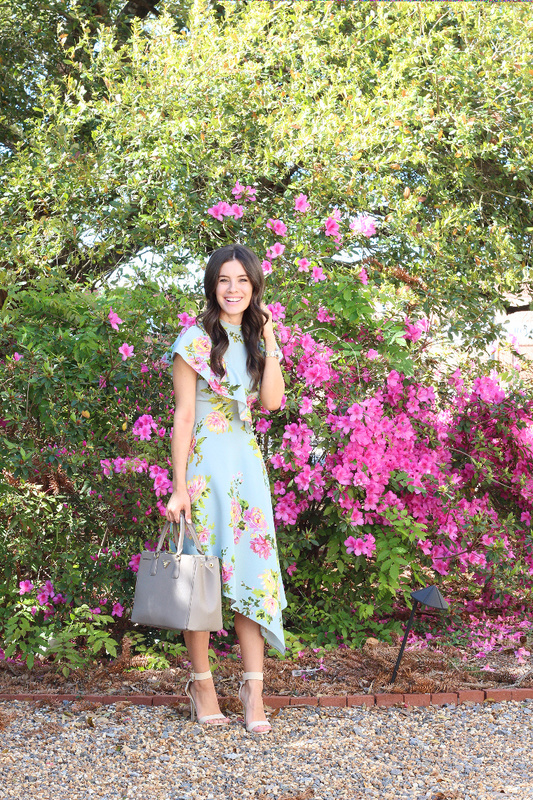 an Easter dress a few weeks ago and stumbled on this one and it was an instant winner. It covers all the right places for a church dress & is a total stunner! I wore it this Sunday and received compliments on it all day long. 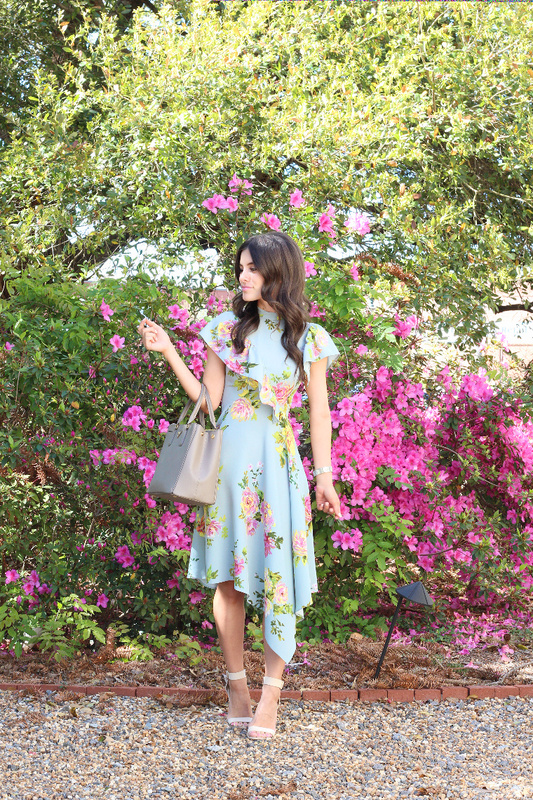 The tighter waist & flare is super flattering for anyone and the florals scream feminine. I also love the touch of the ruffle across the chest and if you look closely, there are mini ruffles at the end of the ties in the back! So cute! I did order a size UK4 and should have probably gone with a size up. The material is stretchy so it didn't feel too small, but you can kind of see the material gather up around the chest/back area in some of the pictures. I also wore it with THIS bra because the under arms dipped enough to have my regular bra peek through. If you don't own one of those, you need to now! They're a life saver!! Last thing I want to mention is that I ended up wearing this dress with THESE shoes instead (can be found HERE too). They are so comfortable to be in all day, unlike the ones pictured. My friend said they look like jewelry on your feet, and I couldn't agree more! I loved how it looked with the dress! Anyways, enough about this outfit! I hope you all are doing well! I've got a ton going on between work and the final weeks of this semester, so I'm just taking it one day at a time! Thanks for stopping by! XO!